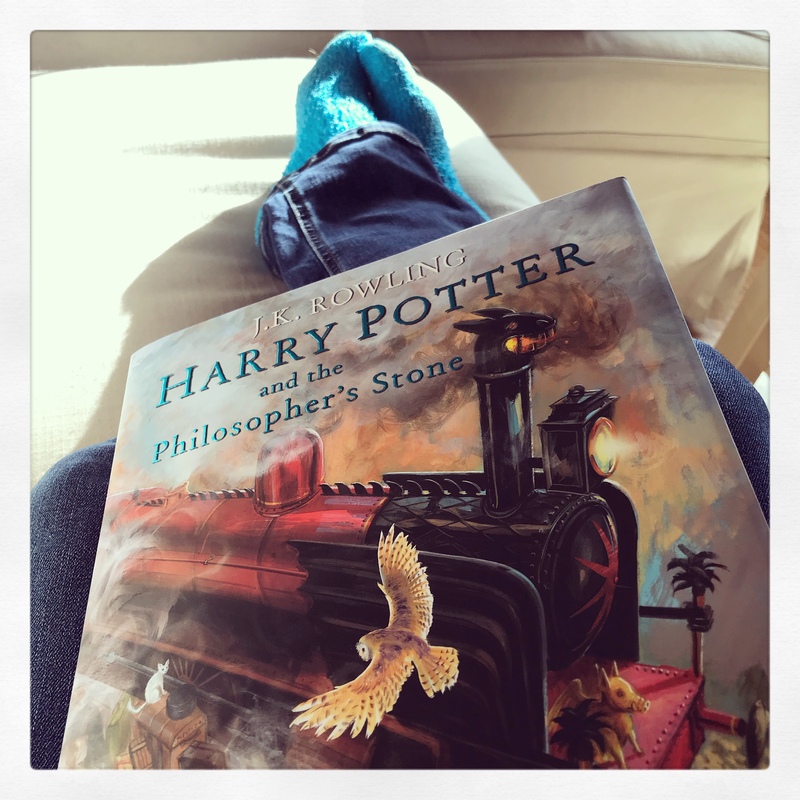 This weekend I re-read Harry Potter and the Philosopher’s Stone by J.K.Rowling. I had read the book over a decade ago and wanted to improve my memory on some of the details as my students this year love the Harry Potter stories. My re-read of this well-known story was made even more interesting because I spent time with the illustrated version of the novel. 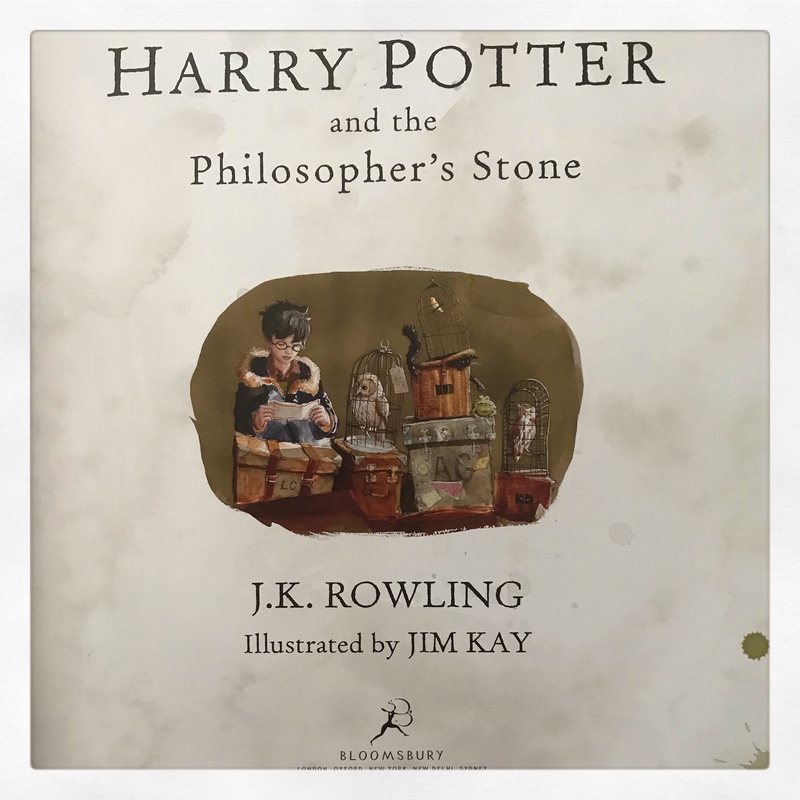 J. K. Rowling’s story has been illustrated beautifully by Jim Kay and I loved looking at the paintings that accompany the text. I spent my weekend immersed in the land of Hogwarts and the world of Harry. This extra long picture book brought me so much joy. How I wish many more stories were illustrated in this way. This weekend I definitely had a smile on my face while reading. Both the story and the illustrations in my read brought a smile to my face. Have you seen the illustrated version of Harry Potter and the Philosopher’s Stone? I would love it if it were revived. 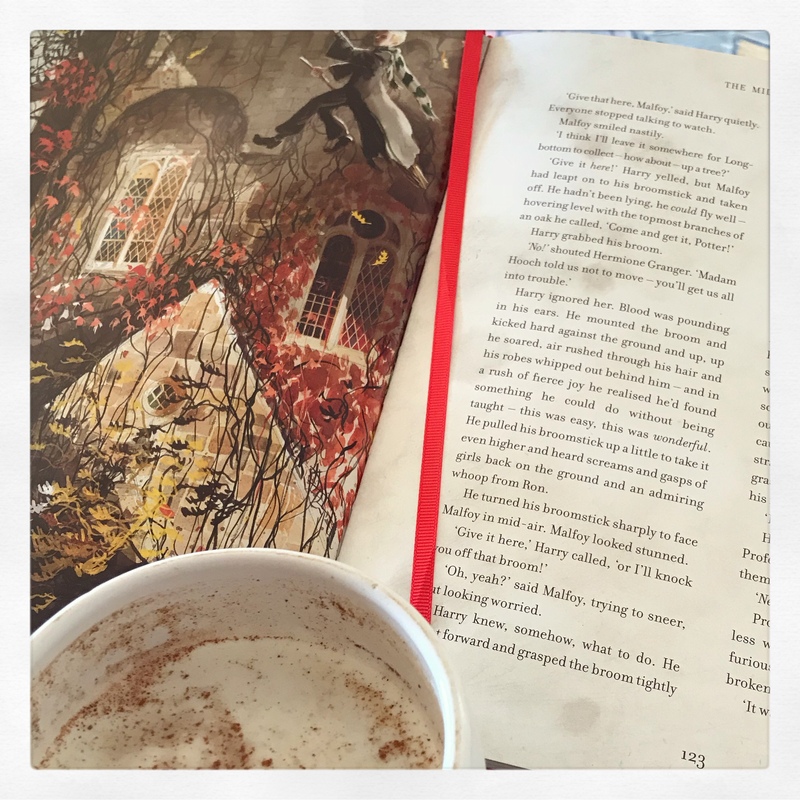 Middle Grade stories have designs in them, I don’t see why YA and and books can’t – especially the Fantasy genre. I agree. I know it is all about money, but I’m sure they could find a way. The would book be perfect to read with a young child. It would be a useful tool to help them enjoy the magic world of Hogwarts. You would love it. I could not resist getting myself this copy when I saw it on display during the Holiday period. I haven’t seen it, but I bet my 12 yo niece has. I’ll have to borrow it from her! You definitely should. It is a pleasure to read. I hope you are loving it as much as I did. I’ve had it since it’s release but I’m finally getting to it! The artwork is gorgeous!! It is – and it definitely adds to the enjoyment of the story. I love the Harry Potter books and indeed have bought these illustrated versions! They are beautiful books and a great way to re-read the stories. I agree. I look forward to reading the next two – and will eagerly wait the publication of the fourth.